In a world increasingly infused with technology, 2018 will require us to become comfortable with asking new questions of familiar services, according to Fjord's annual Trends Report. If the past year saw us grow accustomed to polarisation, then the year ahead will see us confront fundamental tensions at the heart of how we interact, not just with each other, but with the environment around us. Navigating this new world will require a reimagining of the one we live in, with design thinking essential to meeting the challenges head on. For designers, the first challenge will be to recalibrate how we approach our craft. In the last five years, we’ve been limited by the number of touch points available, with emphasis placed on creating experiences delivered through digital screens. This is set to change. Consumers are starting to emerge from their "screen addictions", prioritising real-world interactions over periodic ones via screens. Primarily digital brands are already beginning to reflect this shift, with the likes of Airbnb and Amazon placing a greater emphasis on physical presence and using digital and data to improve experience. However, this doesn’t mean digital is disappearing. On the contrary, in 2018 organisations will start to use digital as an invisible enabler of the physical and sensory experiences increasingly favoured by consumers. Whether it’s cameras, microphones, sensors or audio devices, technology is being fed into the physical world, supporting instead of dominating physical experiences in an array of environments – especially those in the home. As a result, the line where physical ends and digital begins is becoming blurred - soon it will be almost impossible to distinguish between the two. This will have huge implications for brands and organisations, necessitating a wholesale shift in the way teams are structured, and products and services are developed. Carnival Corporation, the cruise operator, has responded to this need by creating the Medallion – a wearable smart coin which seamlessly blends physical and digital. The coin connects customers to a cruise ship through a digital-enabled service called Compass, which is then able to deliver a bespoke experience, optimised by the data collected. Change in the workplace isn't just limited to digital and design teams. The influx of Artificial Intelligence is going to change the work life for all of us. While it is true that automation might render some roles obsolete as production lines or typewriters once did, it will also create many new ones. As AI becomes more advanced and intelligent, it will cease to be a digital competitor to its human counterparts, instead becoming another type of "user" in a workplace environment. Indeed, in a recent report, Accenture identified three new categories of jobs – trainers, explainers and sustainers – that will emerge to complement the tasks performed by cognitive technology. Designing for this change from competitor to colleague will require a shift in focus away from potential clashes, and instead towards harnessing the combined strengths of man and machine. A Harvard-based team recently put this collaborative approach into practice. Human pathologists who partnered with an AI capable of identifying cancer cells found that their joint efforts resulted in near perfect accuracy in detecting cancerous biopsies, a success rate which neither team could achieve in isolation. The advent of AI will also necessitate a fundamental shift in the way we interact in the workplace. To unlock the potential of both humans and machines in the workplace, organisations will need to pool their collective ingenuity, intelligence and relentless optimism to invent new ways for us to interact – amplifying our human capabilities as a result. Once they begin on this journey however, organisations must ensure that they remain inclusive and plan for the evolution of both sets of staff. AI has the potential to fail on a grand scale if it is not inclusive, and diverse teams will be required in order to ensure any bias blind spots are identified from the outset. These shifts are fundamental and require a rethinking of the way we interact with the world around us. Despite this, the changes ahead needn’t be daunting. If organisations begin to plan and design for this new environment now, then we’ll find that these shifts allow us to indulge in the art of the impossible and create a truly exciting world to live in. 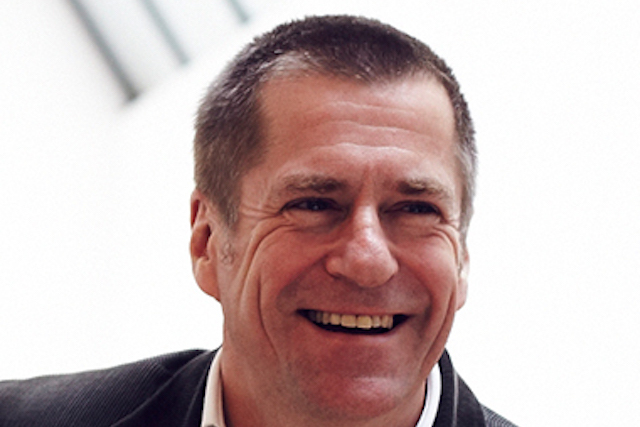 Mark Curtis is chief client officer and co-founder of Fjord, Accenture Interactive’s design agency. This article reflects some of the themes in Fjord's 2018 Trends Report, an annual forecast about the year ahead.